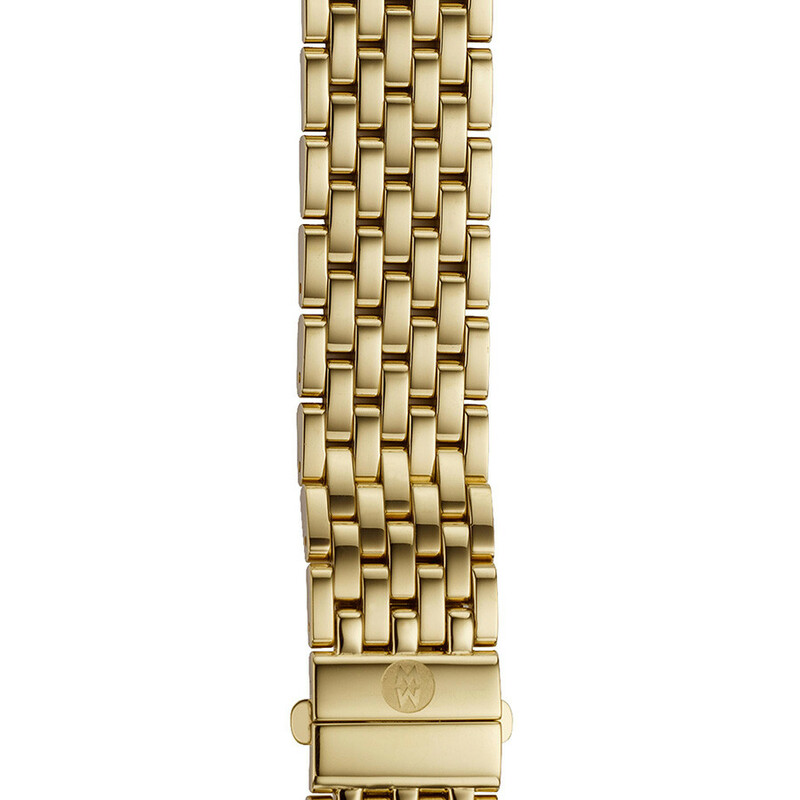 A classic staple is created with Michele Watches' 7-link gold-plated bracelet. This stunning 16mm piece is designed for the Deco 16 with smooth links of gold stainless steel. A signature logo engraved clasp adds a special touch to this bracelet. This Michele product comes with the 10-day JR Dunn satisfaction guarantee.